4-row pearl clasp in rectangular shape. 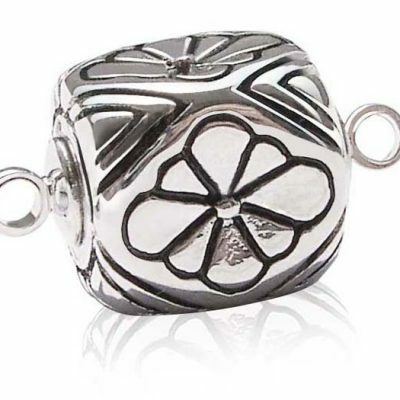 Clever and stylish clasps for your dramatic designs! 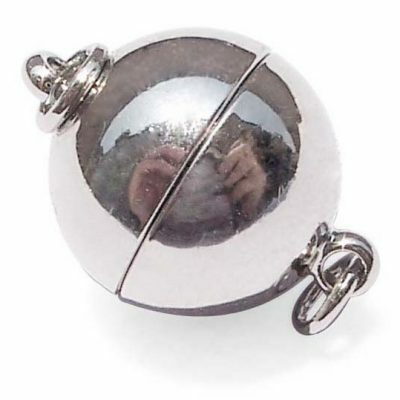 925 sterling silver with 18k white gold over for protection. 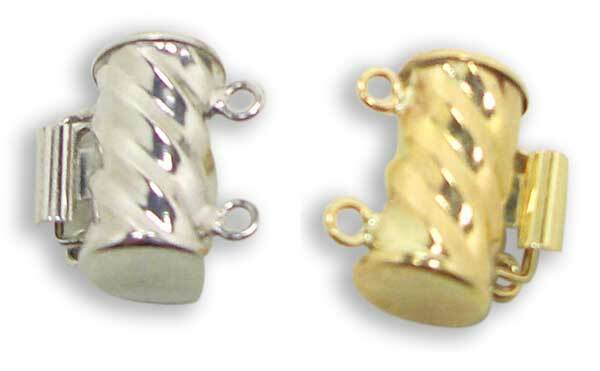 The clasp is about 1/4″(W) by 1″(L). 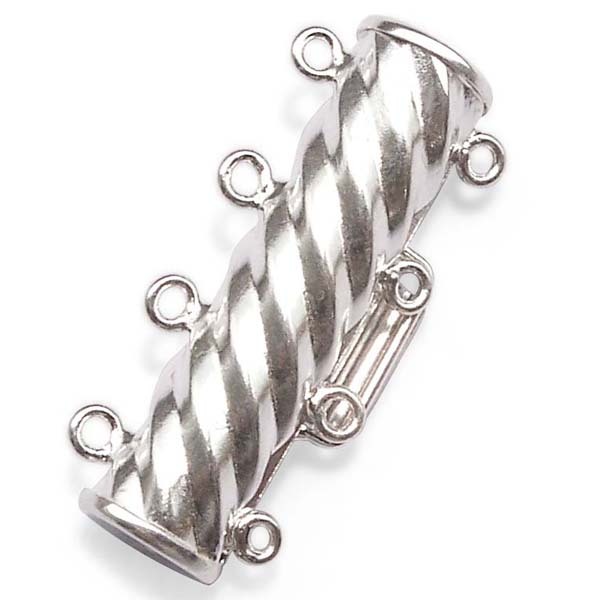 The clasp has spiral design on its surface, which will accentuate your pearls to be more elegant and beautiful.